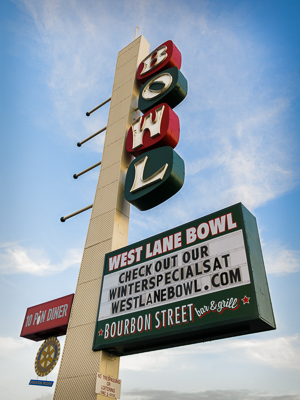 at West Lane Bowl at 6:30 p.m.
West Lane Bowl is located at 3900 West Lane, Stockton, CA 95204. At meetings members are encouraged to share their favorite printed photos or digital images for a monthly competition. Guests are always welcome to attend meetings. However, you must be a dues paying member to enter the competitions. There are Beginner (A), Intermediate (AA), and Advanced (AAA) member divisions. New members start out in the Beginner division. For each meeting, members submit up to (4) four photos for judging--(3) three in the Open category and (1) one in the Special Subject category. The Special Subject changes each month and might be: Trees, Portraits, Transportation, Pets, Flowers, etc. There is a different guest judge for each competition month. Judges critique what they like and what they feel can be improved upon in each of the images submitted. This kind of feedback is immensely helpful in the growth of an artist. For more information on the monthly competition visit the Competition page. Images receiving top scores will be added to the Club's newsletter--the Shutter Tripper, and will be posted here on the Club's Website. Dues are paid at the December meeting, February meeting, or at time of joining. You can download a .pdf of the membership form or view it online.